You bought your home feeling confident that the electrical system was in good shape. After all, you hired a home inspector and they checked it out for you. If you didn’t hire one, it may be too late to renegotiate with the seller over an electrical code violation now, but at least you’ll know your family is safe if you call an electrician to take care of that inspection. 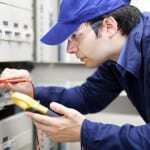 Here are the most common code violations that an electrician can locate and resolve for you. Recessed lighting that is not IC rated should never come in contact with insulation. There must be at least 3 inches between the insulation and the lights to keep the lights from overheating, which can cause the lights to fail or could potentially cause a fire. An electrician can replace the lights with IC-rated versions. 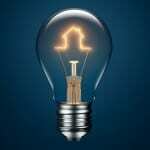 Some older electrical systems are no longer in use for a reason. If you purchased a vintage home – something built before the 1900s – it may have knob and tube wiring. This was a great solution for wiring back then, but it cannot handle the amperage of today’s households and it is also a sure bet that the insulation over the wiring has disintegrated and poses many risks. Your home will need to be rewired completely. If your home is older and was renovated, it may have a number of code violations, such as new lights installed onto old wiring that cannot safely support it, overcrowded wires, and illegal splices. An electrician can thoroughly inspect your home for violations like these that could put your home and family at risk. Here at Lamm Electric, we are committed to providing you with the best electrical services in the Charlotte, North Carolina area. We offer fair and competitive rates for the services we provide, and we put customer satisfaction as a priority, right up there with quality workmanship and materials. Give us a call today!